Going paperless has a greater impact on your business and the environment than ever before, but can you do it? Becoming a paperless office is an impactful business choice that will optimize and simplify nearly all of your processes and tasks. With the advancements in technology, it's never been easier to make the change to digital documents. The benefits of a paperless office are numerous, and you will notice them immediately. 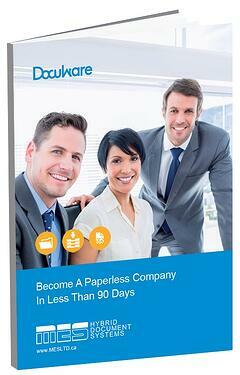 To find out the simple steps and processes you need to take on to become a paperless office in less than 90 days, fill out the form to the right and have this eBook sent straight to your inbox!